Jefferson Animal Hospital 24Hr. Emergency & Wellness Center was established in 1978 by Dr. Patricia Kennedy, D.V.M. and her husband, Rick Arrington. The original building, a three bedroom ranch residence, was on two lane Outer Loop road before the Jefferson Mall, largest mall in the state of Kentucky, opened. This was an urban-rural area of Jefferson Country that was considered to be very far out in the country at that time. After purchase of the building and application for zoning changes, the practice started with one Doctor and two employees (one of whom is still an important part of our practice). 1980 was a busy and an important year for our hospital in three areas. March of 1980 heralded the birth of Dr. Kennedy’s son, Adam. April brought our first hospital inspection from AAHA (American Animal Hospital Association) which we voluntarily joined to maintain the very highest standards in the profession. We have been a certified hospital member of AAHA ever since. May of 1980 was the beginning of our 24 hour hospital. From May 1, 1980 until today, we have never closed our doors. We have had a graduate, licensed, experienced veterinarian and trained staff on the premises 24 hours a day, 365 days a year including all holidays continuously. This concept of complete and continuous care was very radical in 1980. We believe we are the first animal hospital in North America to offer both routine and emergency medical care on a continuous 24 hour basis. 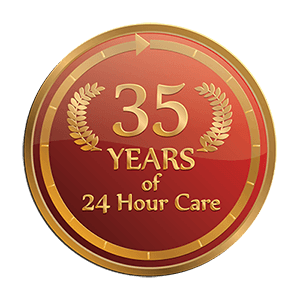 Our decision to open 24 hours was based on the community’s need for quality after hours care and because we sincerely believed that the only way to practice good medicine was to be able to care for seriously ill pets around the clock. If a diabetic, liver or kidney failure patient needs IV therapy, then they need it more than 8 hours a day, they need it 24 hours a day. All of our staff agrees that the most positive aspect of our practice is the intense nursing care our patients receive around the clock. It is truly the most satisfying way to practice veterinary medicine. Jefferson Animal Hospitals are Certified in Family Practice which gives our Doctors the ability to look at the whole family history and interactions to provide a more complete picture to help us with our patient’s diagnosis. Emergencies can and do happen at any time, day or night and usually very late at night and that’s the heart of our 24 hour emergency practice. There is an adrenalin rush when you know that a pet was saved because we’re here with the proper equipment and well trained staff. The emergency patient is the key that keeps our staff feeling good about our profession. We have the opportunity every day, several times each day to truly help people with their pets. When you have a cardiac arrest at 3:00 am or a car trauma in severe shock and you save that pet’s life, there is nothing that can compare with the feeling of accomplishment. We all have a common mission, to do our very best to educate our clients and make their pets healthier and to live a longer life.